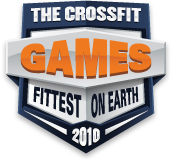 On February 12th, 2010 The Crossfit Games season kicked off in St. Charles, Missouri with the Midwest Sectional. The Midwest athletes were thrown through a gauntlet of events over the course of the weekend. The most brutal challenge of the weekend was named for key sponsor of the event: The United States Air Force. In the better part of the year since that initial competition event host, CrossFit TNT, has maintained a close relationship with one of the squadrons at nearby Scott Air Force Base. Rochelle Simmer is the owner of CrossFit TNT. She checked in with this update on the relationship they are fostering with the Air Force that was built on Games competition. Since hosting Sectionals, the Air Force and TNT have gotten together. They were our biggest sponsor and we now have a contract with the 345th RCS (recruiting squadron). TNT goes to SAFB (Scott Air Force Base) twice a month to coach CF to the Colonel, Chief and all the Sergeants in that squadron. 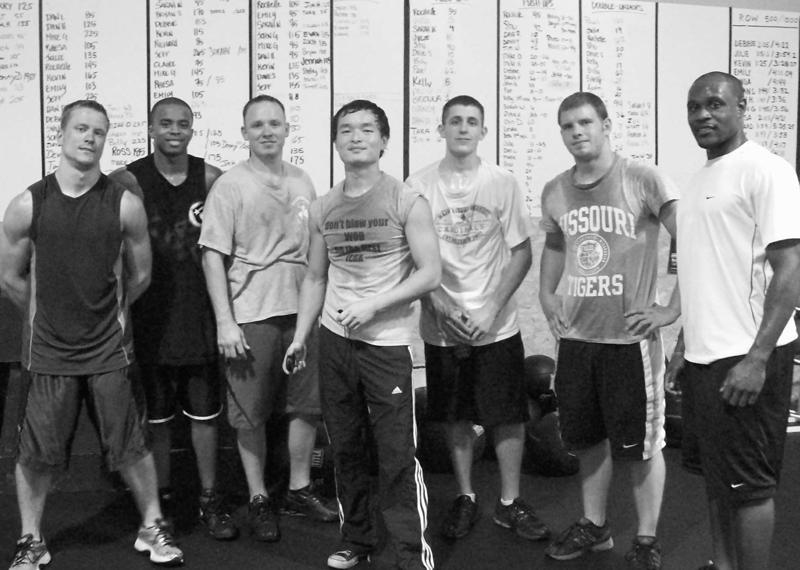 We also allow all the recruiters and their trainees to come to TNT and take our foundations classes and then group classes until they leave for boot camp. 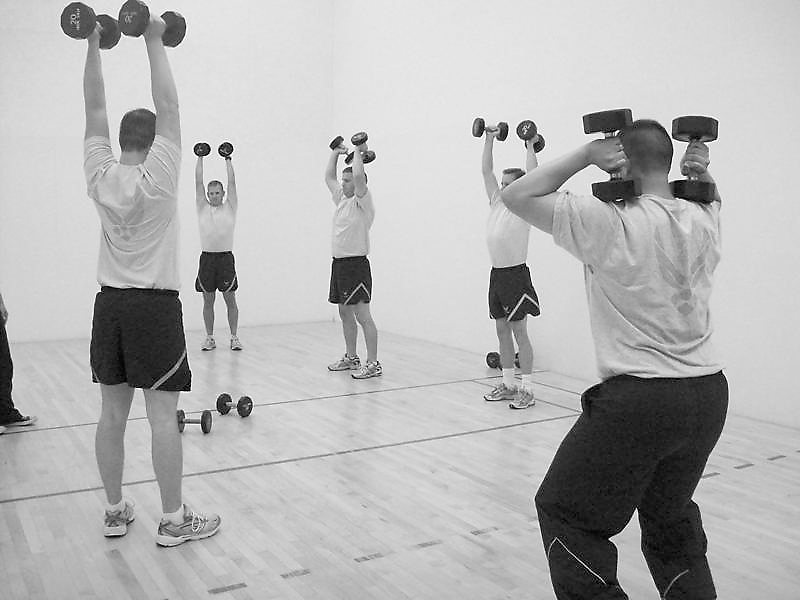 This will teach them all the functional movements that they will need to get ready for combat. We love working with the military, knowing that we can help them prepare for the future. I am honored to have accepted two awards from the Air Force. The first award is for TNT, the certificate of appreciation for working with the Air Force. The second is for me as an honorary recruiter for the Air Force. I have never been in the military, but I sure do respect them for all they have done for us. TNT plans on having a very long a rewarding relationship with them. You can see a video of CrossFit TNT training Air Force recruits here. Rochelle Simmer, Owner - CrossFit TNT. Outstanding work TNT, keep our men and women fit for battle. 07 September 2010 / 2:06 p.m. Awesome job! I think it's great that TNT is able to provide some training to the current squad and future recruits. They will be so much better prepared! 07 September 2010 / 2:12 p.m.
That is Great news! TNT, keep doin what your doin! 07 September 2010 / 8:43 p.m. Thanks, TNT for keeping us in shape! 08 September 2010 / 6:12 a.m.
Great job for all involved! TnT keep providing the training to make the 345th RCS stronger, and 345th keep committing yourself to be better . 08 September 2010 / 7:39 p.m.
09 September 2010 / 7:24 a.m.
How would one get TNT to work with other squadrons/people on Scott? Especially people training for special operations? 10 September 2010 / 5:37 p.m.
Give me a call and we can talk more about all the different options. I hope to hear back from you soon. Thanks for the email. 15 September 2010 / 6:53 p.m.